Nothing can make your world turn upside down faster than creating a website, then having a hacker attack your hours, weeks, or months of work, destroying your efforts, then not being able to figure out how to fix it! 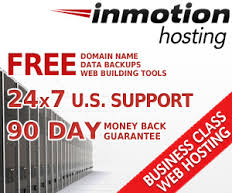 I use a site called InMotionHosting – and I have to say that they have been absolutely wonderful in helping me via chat and on their end – fixing my site to get it working again. I did spend a lot of time adding information to my first website, making a lot of mistakes, and errors, and thinking I could program, sure screwed up the cascading style sheets (CSS) thinking – I’m a smart gal, I can do that. So – my go-forward goals: 1) add content to this website (again), 2) help those needing useful information, and 3) getting things done that I was delaying because my website wasn’t working.